What This Offering Will Do For You - Locate, analyze, evaluate and buy a local small business that will generate income for you now and provided you with something of value that you can sell later for cash or to generate retirement income. Our clients can contact us FREE and we will Analyze the Deal for them and Appraise the Business for them. About 40 unique files to help you buy your business. We'll show you how to buy a local business and buy it with little or no cash and NO bank financing required. Want to buy a local business but don't have any money? Not only you don't have any money, you don't have any credit. Does this sound like you? What would it be worth to you to be able to buy a business in your local area that would pay all your bills and allow you to build for your future? When you are ready to retire, you can sell the business and have retirement income. No matter how great your job, you can't sell your job and generate retirement income! 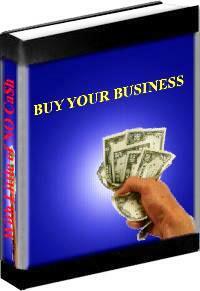 What business should you buy? Well, of all the small businesses that are in your area, about 10% are up for sale (that is a business fact) or could be up for sale. That's a lot of potential businesses for sale. Most people don't know how to analyze a business, you don't want to buy a failing enterprise; we can help you with that. In fact, we will show you how to develop businesses for sale, how to analyze them and put a realistic value on them, how to negotiate the price and close the deal so you can make MONEY! Think about this, local bars, restaurants, stores, gas stations, local retail shops, service businesses, ... again, 10% of these local business are or could be up for sale at any given time and you could buy them with little or NO Cash Down. 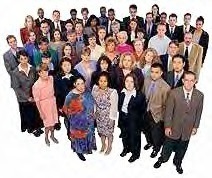 Many of these business owners are eager to sell and will help you buy their business. Here's a fact: most business sales are financed by the seller. All these questions and more, will be answered for you. Our Business Buying Package will answer all these questions for you and if you want, we can be available to consult with you on each deal. Buying a business, cash flow is king! You first go after YOUR cash! Once you get your cash, you structure the deal to pay for the business; Make sense? Even better if you can capture this cash flow with no out of pocket cash. This is a response we often get: Holy Crap, he took my offer.... Now What! Is this a good deal? How much is it really worth? Is the business healthy? will it continue? Our package will answer most if not all of these questions for you. If you need outside validation from a professional, we will appraise the business for you and provide a comprehensive financial analysis that will give you the financial health of the business. (We will provide this service at bare minimum fees to all buyers of this service). These are a small sample of the hundreds of satisfied customers we have heard from. We hope to add your byline in the near future. Always Remember; When you get a deal on; We will Appraise the Business & Financially Analyze it to show strong points & weaknesses and help you through the deal. We will always be available by phone, fax or email to guide you through your deal. 40 Files ready to put you in your own business tomorrow!